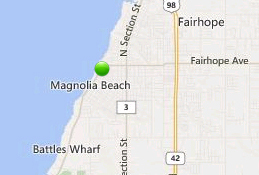 Time to sell your home in Fairhope on Mobile Bay? Read about today's home buyer. Mobile Bay homes for sale in Fairhope AL are all listed on this page along with pictures, maps, current listings, property details and other useful info for homes for sale in the Mobile Bay subdivision in Fairhope Alabama. Mobile Bay is a huge, expansive body of water separating Mobile, AL from the Eastern Shore area of Baldwin County. Some of the larger Fairhope homes for sale on Mobile Bay include Ecor Rouge, Point Clear and Montrose and the Fruit & Nut District. The homes for sale in the Mobile Bay community of Fairhope are approximately 40 minutes from the beaches of the Alabama Gulf Coast and approximately an hour from the regional airport in Mobile, AL. If you need further info, have questions or would like to schedule a viewing for any of the homes for sale on the Mobile Bay in Fairhope or any other properties in the area, please email info@condoinvestment.com or call (251) Area-Pro (251-273-2776) for immediate assistance.